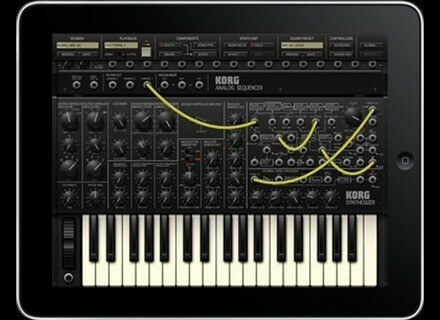 iMS-20, Virtual instrument for iPhone / iPod Touch / iPad from Korg in the MS series. The applie is pretty lightweight, it weighs less than 50 mo. It runs perfectly on my newipad without any lag. The interface is perfect, great job from Korg. This is not a simple but rather MS20 MS20 7! MS20 one that can be used as a synthesizer and six others for the rhythm part. Add to that 7 and 7 kaospads sequencers. All complemented with a pattern mode effects and song and a mixer. In short everything you need to make small pieces really nice. I highly recommend this app is my favorite app on iphone. 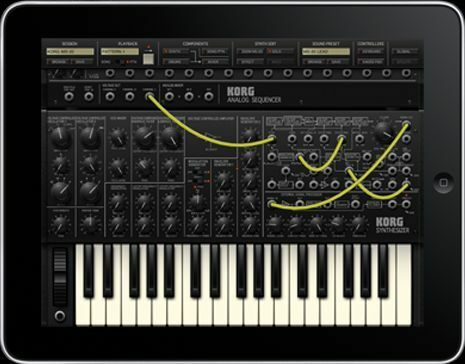 The Korg iMS-20 Version 1.5 is available for download at Apple's App Store (iTunes Store), with special pricing in effect through April 30, 2011.